The baby boomer generation is in midst of retiring. Born between 1946 and 1964, there are approximately 76 million baby boomers in the United States today - or about 28% of the US population. Baby boomers are healthier, wealthier, and better educated than their parents, and they can expect to live well into their 80s. They have raised their children and now they are "empty nesters" as the kids have moved on to lives of their own. In order to fill the emptiness in the house when the children leave, many seniors get a pet or they inherit one from their children. As a matter of fact, baby boomers are more likely than other age groups other than Millennials to own pets. Yet, according to several recent surveys, baby boomers plan to travel extensively in their retirement, and many of them will face the dilemma of what to do with their dogs and cats when they travel. Options include hiring pet sitters or leaving pets behind in kennels or pet hotels. Interestingly, however, a survey conducted by a pet product company found that more than half of all older Americans prefer to bring their pets along with them when they travel. Traveling with a pet makes for a more fulfilling vacation for many seniors. So what is the best breed of dog for traveling baby boomers? It depends on the type of person and the type of travel. Physically fit adventure seekers who enjoy outdoor activities such as camping and hiking might consider choosing a dog from the Sporting Group, which includes Labrador Retrievers, Golden Retrievers, English Springer Spaniels, and Weimaraners. Although these dogs are usually good-natured, friendly dogs that thrive on outdoor family activities, someone considering this type of pet must be ready to devote time and energy to train and exercise their pet. Traveling with a larger dog is also quite different than a smaller dog. The most comfortable way to travel with any dog over 15 pounds is by car or RV. This allows for frequent stops along the way to walk and hydrate the dog. Of course, your pet always needs to be restrained for safety in a pet harness. For those people taking extended vacations that require air travel, there are many considerations when bringing a large pet along. Undoubtedly, your pet will have to travel in the cargo hold of the aircraft, and so, needs to have an even temperament. An IATA compliant pet crate will be required, as will a health examination by your veterinarian just prior to flying. For many seniors, and certainly for apartment dwellers and those with physical limitations, a smaller dog may be a better choice. Although they too need to be restrained in a	pet car seat while traveling in a car or RV, small pets make great traveling companions. Most small pets enjoy the change in scenery and are truly happy to be with you in a new environment. Remember though that no pet should ever be left in the car alone in summer, not even for a minute. Additionally, many traveling pet owners also like the fact that their small dogs may be allowed to fly with them in the cabins of many commercial airliners in a pet carrier instead of the cargo hold. Snub-nosed breeds such as Pugs, Shih Tzus and Lhasa Apsos are not allowed in the cargo hold due to their breathing problems, so be sure and be careful when selecting this breed if you want to travel extensively. There are other reasons smaller dogs may be a better choice for aging baby boomers. Larger dogs may be intimidating to strangers, and many pet friendly hotels have size restrictions on dogs. 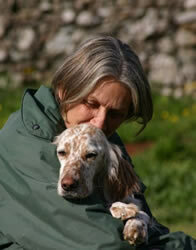 Older baby boomers may also have difficulty handling larger, more energetic, young dogs. Miniature or toy poodle: This people-friendly breed is intelligent and intuitive. Small and easy to carry, these dogs usually excel at obedience and are sociable with other animals. Chihuahua: This is one of the smallest and easiest of all dog breeds to carry around. Feisty and entertaining, Chihuahuas don't need much exercise. Some Chihuahuas may be temperamental, so it is very important that potential owners choose their breeder carefully. Miniature Schnauzer: This breed is alert, intelligent, and obedient. Most are very social and love to be around people. They are very easy to travel with, but owners should be watchful around other small animals because of their terrier instinct. Shih Tzu: Sweet natured and less yappy than many breeds, Shih Tzus don't need much exercise. They are very easy to socialize and generally get along well with other pets and people. Pekingese: This breed is calm and quiet when indoors and doesn't need much exercise. Pekingese dogs are usually polite with strangers and accepting of other animals. Maltese: Lively and playful, Maltese dogs love people. They are easy to socialize and require little exercise. Lhasa Apso: This breed is strong-willed, yet calm in nature. Lhasa Apso dogs are very mannerly, but they may be suspicious of strangers if they aren't properly socialized. Yorkshire Terrier: Lively and inquisitive, Yorkshire Terriers don't need much exercise. Their small size makes them easy travel companions. Although they usually get along with other animals if properly socialized, they may not like being around small children. If seniors are on a strict budget, they should not forget their local animal shelter!! They have wonderful pets for adoption and many of them have already been trained and are more mature. In many cases, these animals come from loving homes that, for many reasons, could no longer care for them. In most all cases, these animals are very grateful for a second chance and prove to be loving and loyal pets. Whether a baby boomer favors travel by auto or air, there are few reasons why owning the proper size or breed of pet would hamper their vacation. Traveling with a pet can add dimension to a trip and make it more fun both for the pet and their owner. Senior pet owners can find more information at the National Council for Aging Care.